We all have these fear of buying stuff online. Whether it's a dress, a gadget or even a service voucher, we make sure that the seller is not bogus and we're actually after getting a great product or service out of our hard-earned money. 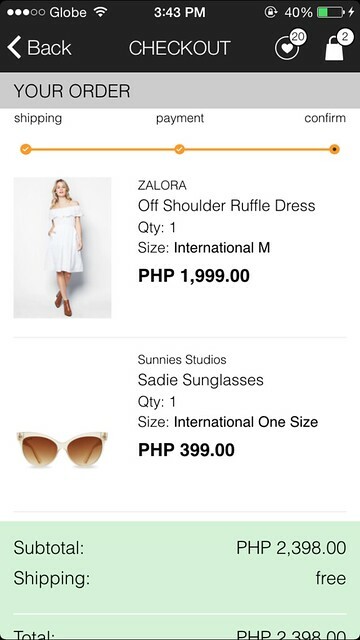 Since I've gotten the chance to splurge at Zalora, I gave it a try and experienced how it's like shopping online through zalora.com.ph. I downloaded the app and yes, it's a breeze to use. I can hover easily around it. In my lifetime experience shopping for clothes (online or not), I always find it hard to find the perfect bottom wear because of my disproportionate size. That's why I said to myself, if I'm going to shop online, I'll either buy loose dresses, tops of my size, or free size accessories and bags. After looking around, I bumped into this Zalora Off Shoulder Ruffle Dress. I got a coupon worth 2000 pesos and this dress is worth 1,999 pesos. What?! I mulled over it for a bit and guess what, I'm going to take it! I just find it plainly beautiful and unique that's why I didn't let the opportunity pass by. Now, it's time to choose the payment method for my order. 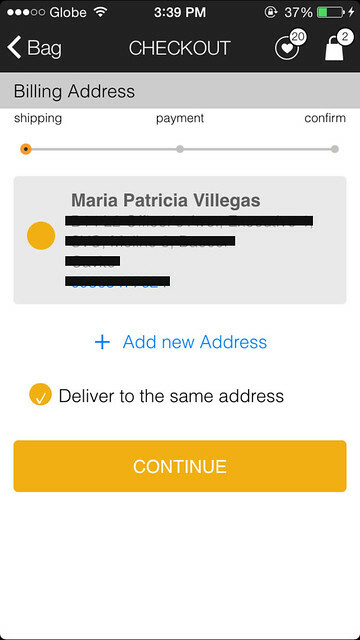 I don't own a Credit / Debit Card nor a Paypal account that's why I opted for Cash on Delivery Payment Method. And for the final checkout, this is where I saw the final list of my order and the total amount that I'm about to pay. 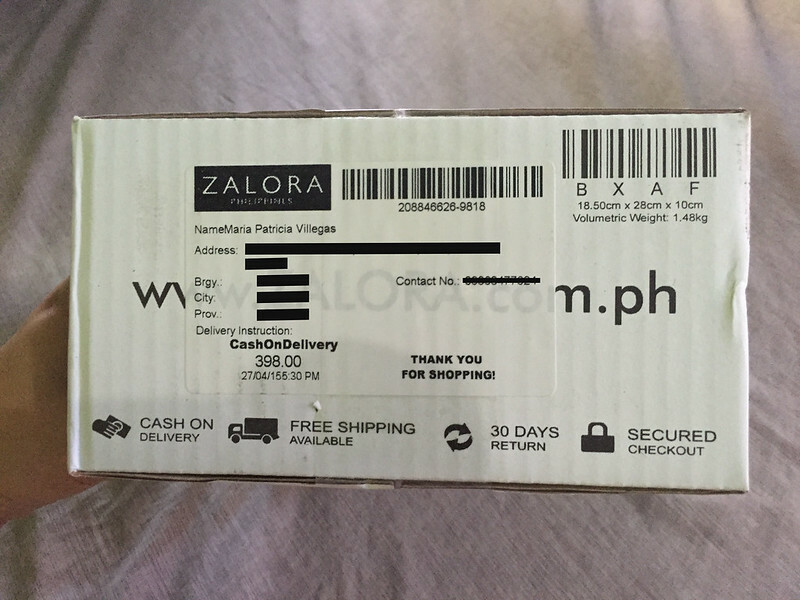 I believe that in Zalora, when you reach 1000 pesos on your order, your shipping fee will be waved. Meaning, it's already free of charge. This is where I also placed the discount code that I have. The total amount of my order reached 2,398. 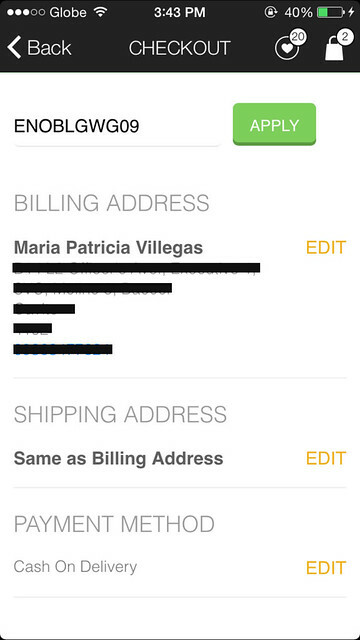 And I have a 2,000 pesos on the code so I'm gonna pay 398 pesos once the courier delivers my parcel at home. 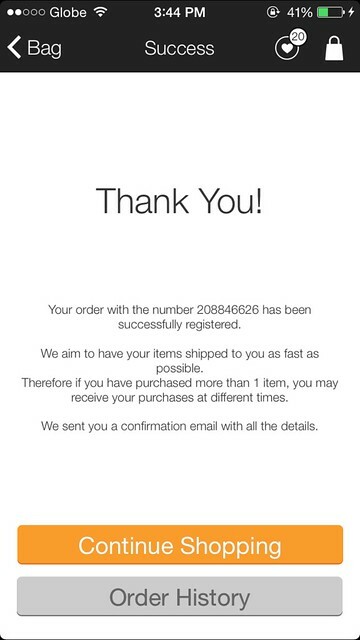 After the process, this message appeared saying that I got a successful transaction, together with my order number. 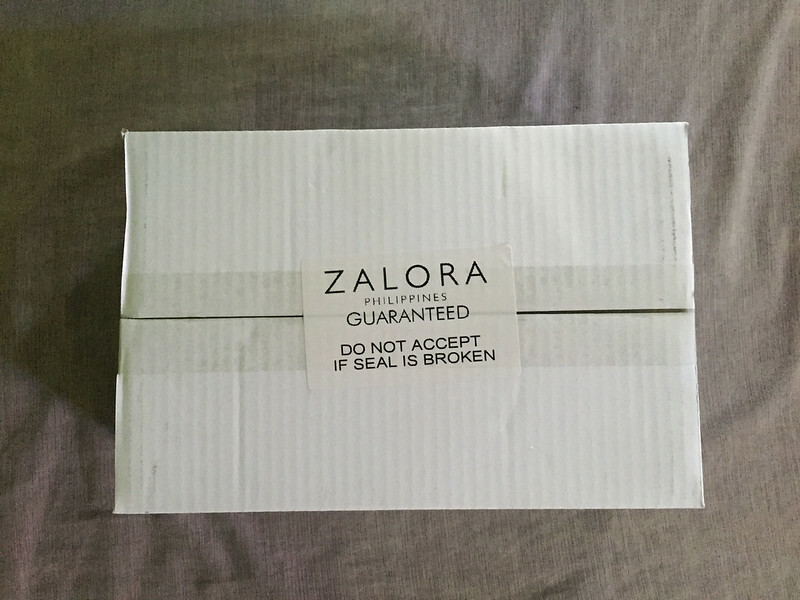 On the next day, I didn't expect receiving my order from Zalora at lunch time. The delivery was so fast that I didn't have to wait for a day to acquire my order. That's a plus point for online shopping, I have to say. 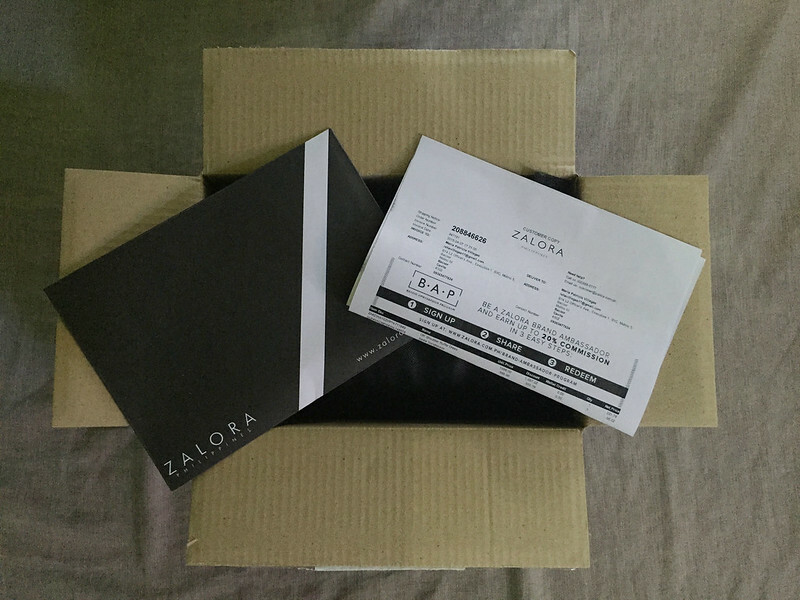 The Zalora box is so cute! Aside from the fact that it has cute doodles of fashion pieces on it, it has also my name printed on top of the box. Personalized stuff really makes me feel special. Really. The sunglasses and dress that I ordered are secured in a bubble wrap and special Zalora ziplock bag. 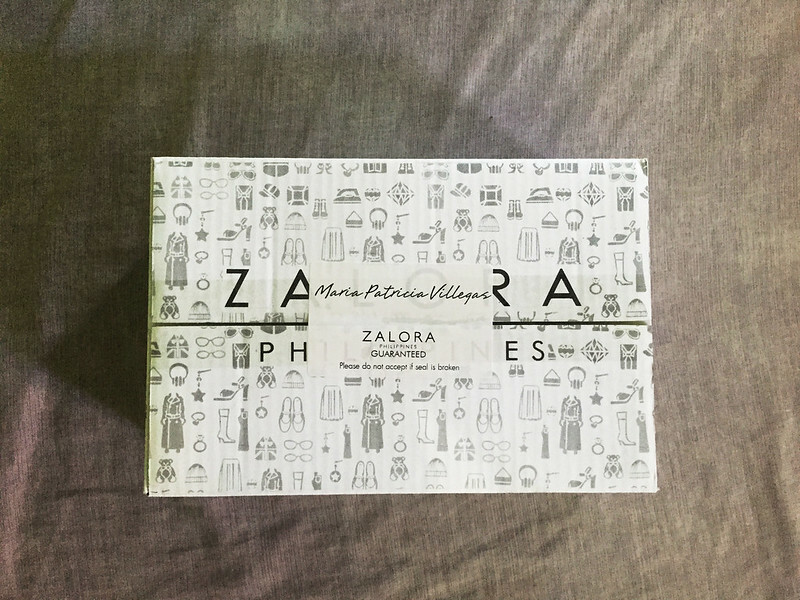 In my assessment over my overall shopping experience in Zalora, everything happened all so fast. I ordered my items and on the next day, I got what I wanted! It's actually my first time shopping online because of the fear that I might get a wrong item. But now, my belief was turned upside-down. I didn't know online shopping is this addicting. From this experience, let me share with you what I've learned. 1. Know your size by heart. It helps if you know your size before checking out your order. 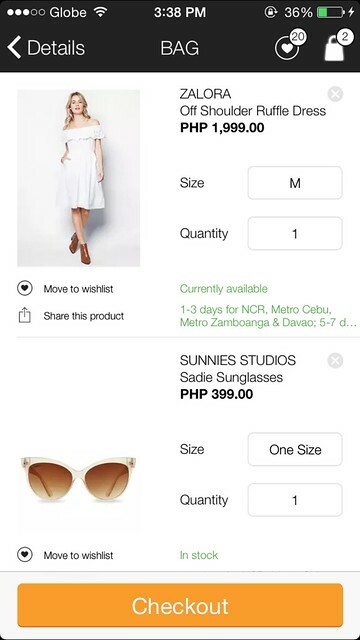 At Zalora, they have different conversion of the sizes-US and European. And since I know my european size prior to ordering, when the item was delivered, the dress fitted me well. 2. 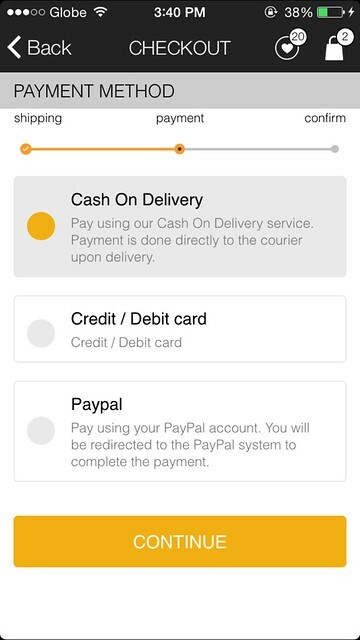 Always go for Cash-On-Delivery (COD) Payment Method when possible. It's always safe when you give the cash outright after receiving your items. Also, you can make sure that you get the right order and you are free from all the hidden charges on credit cards (if ever there's any) once you complete your payment online. 3. Prepare an exact amount if you're going for the COD Payment Method. Do not expect the courier to be bringing with them lots of coins as change for your bills. For an easier and faster transaction, make sure you prepare the exact amount of money for the items that you've ordered. 4. Know if there is a shipping fee. Do not get shocked if ever the courier arrives and your bill is higher by a hundred because of the shipping fee. There are online e-commerce websites like Zalora who offers free shipping when your order reaches a thousand. 5. Have a background check of the site that you'll be shopping in. You don't wanna end up waiting for your product, only to find out that it'll never come on your doorstep. Make sure that the company that you're buying products or services from are trusted ones and people have actually bought from them already. 6. Secure if there is a Return and Exchange Policy. Times happen when you got your size right upon purchasing yet the top that you've ordered is still smaller than your actual size. Zalora offers free Return and Exchange Policy if ever you want your items changed. Still, don't be fickle-minded and decide well if you are really buying a certain product. You'll thank yourself for the less hassle in the end. I hope some of the tips that I've shared with you are helpful to make your first successful purchase through online shopping. 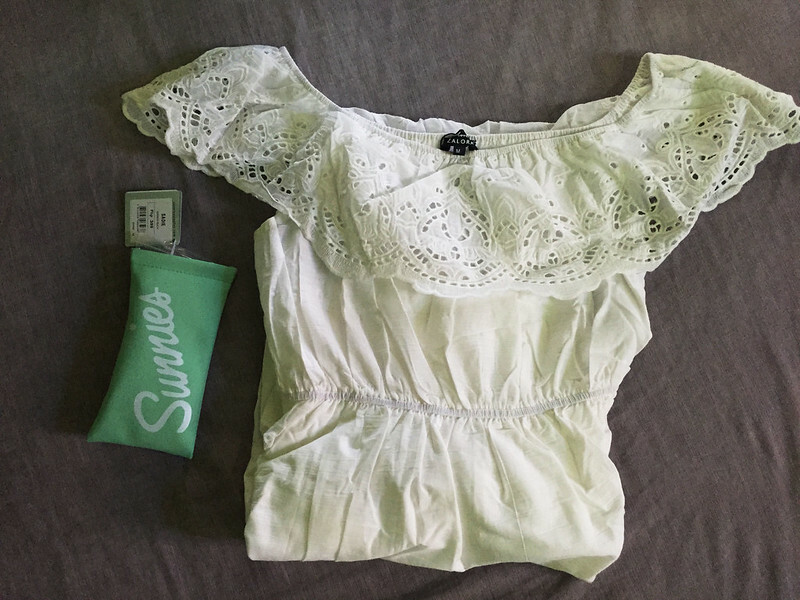 You can check out my OOTD wearing this white off-shoulder ruffle dress here.